"We can't wait to see what meaning you bring to the world," Peter Boatwright, director of the Integrated Innovation Institute, spoke to Master of Integrated Innovative Products and Servies and Master of Science Technnology Ventures students at the May 2018 diploma ceremony. The students of the Class of 2018 are trained and motivated to use their interdisciplinary skills and knowledge to bring forth meaning in new technology. With each student joining the Institute from a different background or area of expertise, the Class of 2018 is a diverse community of makers and doers. Over the course of their programs, they have inspired one another to create technology that will bring real meaning to real people. To see photos from the day's event, go to our Facebook page. As the innovators of the Class of 2018 look ahead, they also consider the programs that refined their skills and furthered their interests. 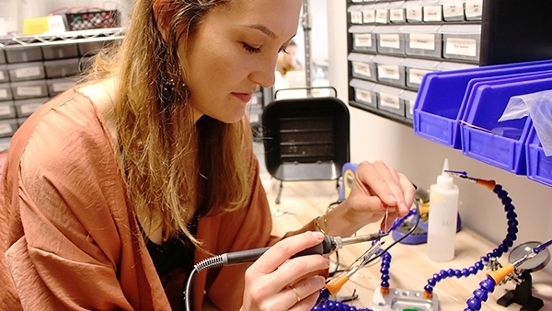 Corbett left the healthcare technology industry to join the Integrated Innovation Institute MIIPS program, where she gained skills in user research and product development to turn her ideas into physical products. She founded the Futurist Club to engage interdisciplinary collaboration to address the upcoming challenges of humanity. After graduation, she intends to start her own business. A mechanical engineer from Egypt, Soliman applied his Fulbright Scholarship to join the Institute and gain interdisciplinary skills and industry insights. Mohamed learned industrial design and business skills that complemented his technical background, pivoting his career from engineering to product management. 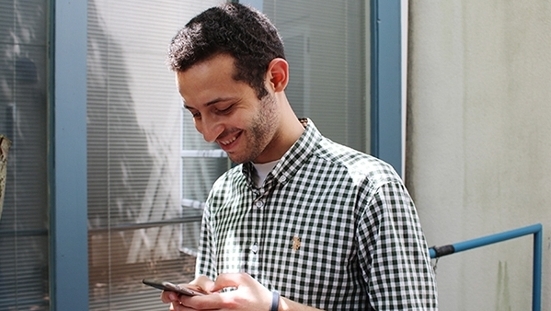 As a graduate, Soliman is working as a Product Manager in Dubai. 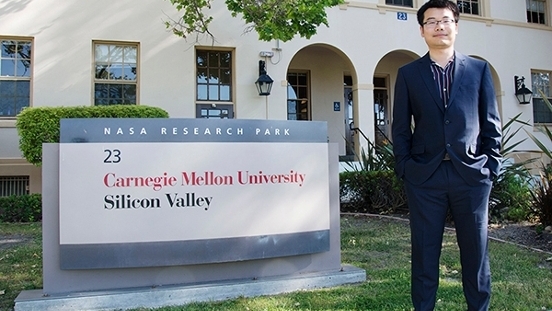 "It's the first time that I've stepped back from engineering to study business management. I've learned a lot about entrepreneurship, which I can implement in my own start-ups. I've listened to lots of famous guest speakers and have learned from their entrepreneurial experiences." Li joined the first MSTV while pursuing a dual degree in Civil and Environmental Engineering. Previously, Li had studied and worked in China as a structural engineer. 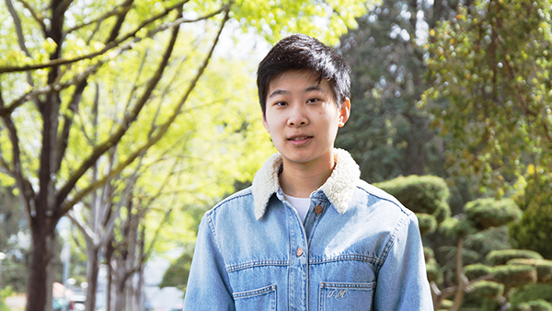 Having gained new management skills and expanded his engineering portfolio, Li looks forward to applying his MSTV experience to his future entrepreneurial endeavors. Roy received the Student Engagement Award at the 2018 Alumni Awards event, hosted by the Carnegie Mellon University Alumni Association. While Roy received her undergraduate degree from Carnegie Mellon's Mechanical Engineering Department, she served as a Resident Adviser and organized storytelling events to connect students. Roy's campus engagement spanned across her Carnegie Mellon experience and from campuses in Pittsburgh, PA to Doha, Qatar. Li studied mechanical engineering before he joined the Master of Technology Ventures program. 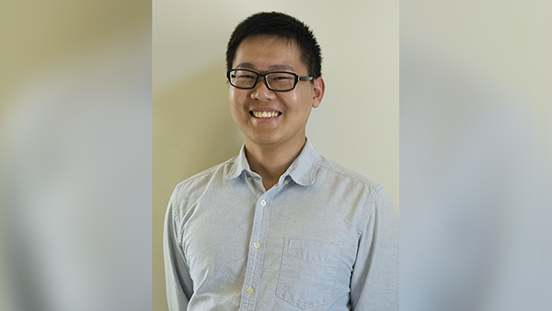 As one of the first graduates of the program, Li feels as though he’s gained the dynamic flexibility and soft skills that will give him the edge he needs as he explores his entrepreneurial pursuits. Mulshine took a risk: she left her human resources job in New York City to move to Pittsburgh and join the Integrated Innovation Institute, where she would gain new expertise and pivot to a new career path. She and her colleagues developed MoodRing, a product they created in their Internet of Things course and have since pursued patenting. Mulshine has decided to move back to NYC after graduation, where she'll begin her product management career at IBM. "The program has been so special, since we're the first four students. I now know I won't be a traditional engineer--I'll be an engineer who has business knowledge and will know how to build my own business in the future." Liu lived in China before moving to California to study structural engineering at the University of California San Diego. She plans to apply her newly established management skills to a new role leading dynamic, global teams. In a few years, she hopes to return to China and start her own company. Vanderveen worked in the field of industrial design before joining the Integrated Innovation Institute to gain interdisciplinary expertise and management skills. John feels that the community his MIIPS colleagues formed was what made his MIIPS experience unique and that their connectivity greatly enhanced the education. He was selected as class speaker by his peers and used his platform at graduation to celebrate the Institute's community of innovators.